The Rami Malek-starring Queen biopic has gone through its fair share of drama — from switching leading men multiple times to director Bryan Singer getting fired from the project — but the first look at the final film has finally arrived. Finished off by replacement director Dexter Fletcher, the film tells the story of Queen's rise to fame, from their formation as a band to their 1985 performance at Live Aid. 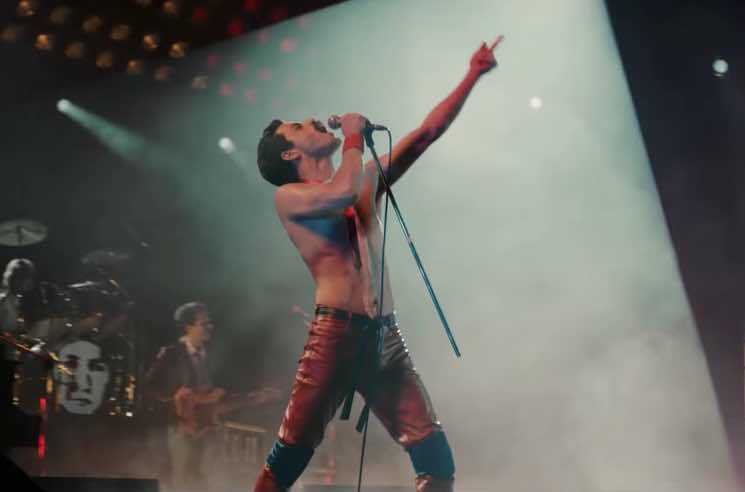 Malek plays iconic frontman Freddie Mercury and is joined onscreen by bandmates played by Ben Hardy (Roger Taylor), Gwilym Lee (Brian May) and Joseph Mazzello (John Deacon). Bohemian Rhapsody hits theatres on November 2, but you can get a sneak peek at it right now by checking out the first teaser trailer below.